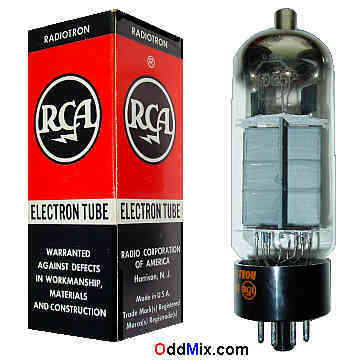 This is an original RCA Radiotron 6CB5A beam power type electronic tube. This tube was developed for TV power amplifier use, radio receivers and high power audio amplifiers. A beam power tube with a heater-cathode and independent grids can be used for many other special purpose circuits like oscillators, transmitters and RF amplifiers. Excellent for antique radio restoration projects or to set up a private vacuum tube museum. It is a NOS tube - New Old Stock, unused, boxed, excellent condition.